While we are happy to know many of you have received the eufyCam, we have been getting questions about the process of setting up, operations and more. To help eufyCam users better find answers, our Product Managers and Customer Service Team have rounded up a list of eufyCam frequently-asked questions, which we’re answering here. 1. Why does HomeBase fail to install? Some houses have 2 network devices, for example one is the ISP provided Internet gateway/Modem and the other is a router purchased separately. 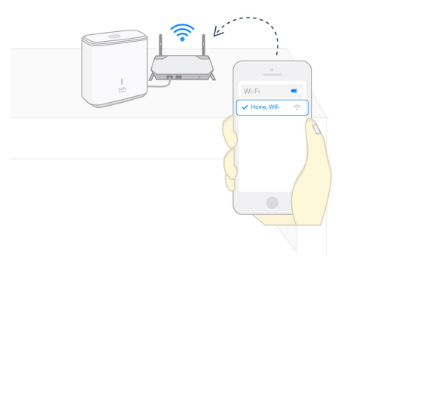 During setup, make sure your phone is connected to the same Wi-Fi router HomeBase is connected to. Your phone should not be connected to the Guest Wi-Fi network. The LAN port is not dedicated for Set-Top-Box. HomeBase might take up to one minute to boot up. Please wait until its LED turns from red to white. Make sure you press and hold the SYNC button located on top of HomeBase until you hear “HomeBase is ready for setup”. 2. Why didn’t I receive an activation email after signing up? Please check the Spam folder in your mailbox. If you cannot find it, please contact our support. 3. How do I update HomeBase’s software? HomeBase is designed for a hassle-free user experience; it will check and update to new firmware versions (when available) when idle. And when user installs HomeBase, the EufySecurity app will run a firmware version check automatically to ensure HomeBase is updated to the latest firmware version. 4. Can eufyCam be used outside even if the temperature is too hot or cold? Yes. The eufyCam is operational outdoors in temperatures ranging from -4°F to 122°F (-20°C to 50°C). If the temperature is below -4°F (-20°C), the battery’s chemistry activity is reduced, resulting in lower battery levels and shorter battery life; however eufyCam remains operational in such conditions. When the weather becomes warmer, battery life will resume to normal times. If the temperature is higher than 122°F (50°C), eufyCam will indicate in the EufySecurity app when it is overheating and switch off automatically. Once eufyCam cools down, it will boot up and continue to run. 5. Why is the night vision video dark, and why can’t objects in the dark be seen? If the camera is close to an obstacles, such as a wall, a lamp next to camera len, it will reflect the IR light back to the camera. Then only the object nearby shows white and the rest scene shows dark. To fix this, try to adjust the angle and direction of the camera. Avoid the near object showing up on the camera field of view. 6. Why does eufyCam stop recording earlier than expect? The system leverage the max recording time and the result of Human Detection to end a recording, whichever comes first. When AI detects no human in the video for a while it will end this recording. 7. Why does the system lose some events? eufyCam utilizes a passive infrared (PIR) sensor to detect motion from moving objects that emit body heat. Objects such as the moving bushes or leaves in breeze doesn’t emit body heat comparing to the environment, might not trigger the PIR sensor or wake up the camera. Only moving objects that enter the PIR sensor’s detection zone will trigger eufyCam to start recording. To set a desired detection range, users can use Test Mode under Camera Settings - Motion Detection. If eufyCam is placed behind a glass or a weatherproof box, the PIR sensor will not be able to detect moving objects. Make sure there are no obstacles or transparent materials placed in front of eufyCam. 8. Why do I receive so many false alarms? In some case, if the Motion Detection sensitivity is set too high, the camera will detect event out of your property, resulting in excessive false alarm. To avoid it, you may lower the sensitivity. 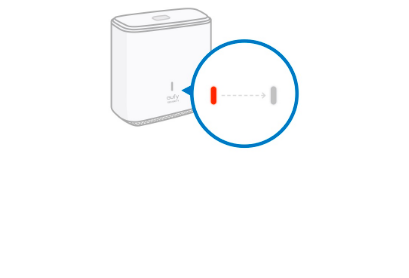 User can use the Test Mode in Motion Detection to set the sensitivity by standing at the desired detection boundary and trying the sensitivity. 9. Why does eufyCam sometimes record the end of an event? It’s possible that the object moved too fast or was at the edge of the detection zone. User can increase the Motion Detection sensitivity to extend the detection range. So that the event can be detected earlier. 10. Does the system work with Amazon Alexa and the Google Assistant? Yes, the system will support Amazon Alexa and Google Assistant via OTA firmware upgrade. We expect to release Alexa support in Q1 2019. Thank you for your questions. We will keep updating this FAQ list and we are doing everything we can to bring you a more enjoyable experiences with eufyCam. If there’re any unaddressed questions that you would like to know, please feel free to drop in the comment below. @AnkerTechnical and @AnkerSupport will be very happy to help you out. @eufy are you still considering Apple Home Kit? Thanks for the FAQ. It's good that you are working on further integration / development like the web portal, smart home apps etc, so I won't mention those. 1) Face recognition doesn't quite work as expected. There is the notification issue (i.e. being able to skip alerts / recording for recognised faces). Additionally, you can't train the camera, even though the app says you can and should (...? ), and you can't add multiple pictures per face. Lastly, the notifications you do receive don't seem correct - it always says a stranger is detected even when the image attached to the recording is a recognised face. It always says 'Stranger spotted'. 1b) The video detection time delay where it misses the start of the recording... Maybe you can improve on this. 1c) The delay in the live feed and live two-way audio makes it hard to actually view & communicate with someone through the camera. 2) The FAQ for the campaign said that the camera could tell between cars, animals and humans, and you'd be able to choose whether to record all three, or just specific ones. This is not present in the app. 3) As someone else suggested on Kickstarter, a way to jump straight to a live view rather than the recorded clip would be welcome - so you could watch the on-going event. I look forward to RTSP. It would be great if you could give us an updated timeline and more info on the actual fixes / improvements / features you are working on, so we don't keep repeating ourselves and we know what to look forward to. 1) Camera recognises a face. It adds it to a catalog of faces that it has. If it recognises the same face again, it groups it - 'Stranger 1, Stranger 2...'. 2) Periodically, you go into these faces and assign them to people you know. So if you see yourself, you tag it as you. Each time it has your face down as a stranger, you tag it to your name - including nightvision. 3) You set notification alerts on each face, and can also set a generic 'stranger' notification setting. Right now the camera tells you to add a picture of someone, and says you can add multiple pictures to train the camera. I added my own picture and it sometimes recognises me, but often doesn't. I don't intend to upload different pictures of myself to try and get the camera to work out what I look like. The facial recognition software should be doing this and allowing me to categorise it. It doesn't recognise me on night vision at the moment, I guess because I uploaded a daytime picture. We are currently working on refining the facial recognition system. Thanks for the feedback!! This is something that is tough, because in order to preserve battery life the cameras need to stay on a very low power mode - low enough to keep the IR sensor running. This delay is the camera then triggering and turning on, then recording video. Thanks for the feedback. This delay usually points to the internet connection strength to the homebase, as well as the distance from the homebase to the camera. We have addressed this in the way of the sensitivity options in the app! Thank you for this suggestion. It does make sense. Yes, this should be addressed in a future update. We absolutely agree and we are currently working on giving more updates to you all. Thanks for being a part of our lovely community here. I would be willing to give up a few weeks of battery life for more complete event recordings. I think it is more important to capture whole events then to have partial recordings. And If you are going to come out with solar panel power adapters then battery life shouldn't be an issue. At the very least, you should give us, the users, the option to choose the mode and decide what is important to us. Thanks. Does the system support geofencing? Yes, the system supports geofencing. Once the user enables geofencing, the system will utilize the user’s smartphone’s location information to determine if he or she is home or away. Now, with Geofencing missing the Camera is actually useless to me. I don’t want to turn it on and off manually when I leave and enter the house. Unfortunately so far I can see once you bought something via Kickstarter you can’t give back the product in order to get your money back. Oh no, you’ll have to wait a short amount of time for them to add the feature. It is coming shortly. Anyone else getting a drastic reduction in internet speed since attaching Homebase? Mine has halved and it wasn’t fast in the first place. If the camera connects to the Homebase through its own network, why does the Homebase need a direct connection to the router? I got my set yesterday and was very happy to finally hold it in hands after half a year, actually even more since I signed in to the project. No problem at all, as I new this before, and as I was so impressed by how far better the Evercam will be compared to the Arlo Pro even, which I tested before, and battery life plus price, nothing was holding me back. Now talking about my first experience with the Evercam, which is partly good, but unluckily some major aspects turned out pretty bad, killer facts for me. So regarding the positive aspects, I guess everyone is aware of what we all expected, like good quality, nice packaging, and really great: the easy installation, where everything just went straight forward and worked right away. Very happy here, as I read about some trouble before. The only thing I had to do was to restart the home base after the update, as it would not let me add any cams. After a restart, all fine. 3 cameras added, parameter defined, all great. Nothing negative I could tell about internet speed, even with camera active. 1) Wireless distance from cam to home base: even in about 10m distance, going from living room via kitchen through the outside wall to the cam, I do have intermittent cut-offs of the signal. What??? This is stone age. This way, not even my not really big house can be covered. Not talking about my garage that I wanted to have cam-secured too. It‘s 20-25m away, a few walls in between...no way, no signal. Very disappointing. And yes, my home base is located pretty much central inside the house. I am pretty sure this will be the killer for me, as this cannot be improved by an update I guess. 2) The outside mounts are very hard to align and get tightened. They feel good at first, but do not really work out too well in handling. Cam is loose, or tilted when really tightening the mounts. Not too well. Any thought welcome, but I think I will have to return tihese cams, as I cannot use them this way. How to go from here, Eufy support? I really cannot use the cams this way at all, and would like to return them for a refund. Thanks for any input, and do not get me wrong: I do not want to bash the product. It‘s awesome in general and the price is fair, but it‘s missing primary technical details right now, especially compared to the main competitor always talked about, the Arlo Pro. I am also wondering why the LAN LED of the homebase is blinking all the time even if there are no events. What data is it sending / receiving permanently and from / to which server? I have the system running since two days now. Today all events of all 3 entry sensors got lost. The sensors were blinking when opening or closing the doors but the homebase did not record the events. The events of the cameras have been fine, so it only impacted all entry sensors. After restarting the homebase the events are recorded again. Is this a known issue? I hope this can be fixed by a software update. Thanks. Update 2018-12-09 happened again today. Entry sensor events are not recognized by the homebase until restart of the homebase. The Homebase needs a direct connection to the router, because it then needs to send information via the internet so that you can then watch the videos on your phone, even when on mobile data. Is it best to turn on auto night vision or leave that off? Does Auto drain the battery faster for example? 1) Wireless distance from cam to home base: even in about 10m distance, going from living room via kitchen through the outside wall to the cam, I do have intermittent cut-offs of the signal. What??? This is stone age. This way, not even my not really big house can be covered. Not talking about my garage that I wanted to have cam-secured too. It‘s 20-25m away, a few walls in between...no way, no signal. Very disappointing.And yes, my home base is located pretty much central inside the house.I am pretty sure this will be the killer for me, as this cannot be improved by an update I guess. We are coming out with a firmware update that should deal with the range issues you and others are having. Where are you attempting to install the outdoor mounts? Pictures would be awesome as we can further troubleshoot from there.